Volkswagen Caminhões e Ônibus takes the new Delivery family to one more destination: it is the turn of the Peruvian market to receive the range of light vehicles that, in little more than a year of the launch, already reaches six countries, besides Brazil. The event was carried out by Euromotors SA, the official representative of the brand in Peru, on Thursday, 22. The first models to be disembarked there are Delivery 6.160, 9.170 and 11.180, which are positioned in the segment of greater volume of that market, configured to meet Peruvian geographical particularities. But the new light family is not alone in VW' official debut portfolio in the Andean region: other highlight is the Constellation Euro 5 line. Both with exclusive innovations in engines, transmissions, safety, comfort and design. In addition, they represent a great innovation in overcoming the current emission standard in the country, which has recently changed to Euro 4. "By taking a step forward in technology, offering already established vehicles in the main Latin American countries, we strengthen our brand, anticipating the demands of the market. In addition, our importer, Euromotors, is 25 years ahead of the Volkswagen brand in Peru, which underscores our experience in the country," says Marcos Forgioni, vice president of Sales and Marketing - International Markets at VW Caminhões e Ônibus. The new members of the Constellation family in Peru are models from 15 to 31 tons: 15,190, 17,280, 24,280, 26,280, 31,280, 31,330 and 31,390. There are also new features available in the Robust package, offered for Constellation models 13,190, 15,190 and 17,230. Thanks to the new design of the bumper, short and metallic, the Constellation Robust models have a greater angle of entry, which expands their vocation to face the most difficult terrains. 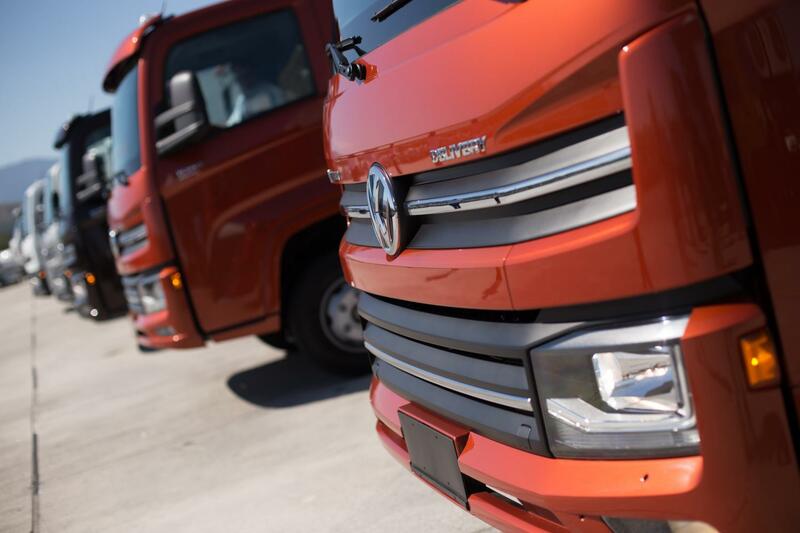 Currently, the Peruvian market is one of the main destinations of Volkswagen Caminhões e Ônibus vehicles produced at the Resende plant in Rio de Janeiro and presents a 40% increase in shipments compared to the previous year. In addition to success in trucks, Volkswagen buses are also prominent there: with more than 500 units sold this year, Volksbus has become Volksbus's second-largest international market, behind only Mexico.